The law states that all vehicles which are three years old or over must have an MOT test every year.It also states that the MOT test has be carried out by a Government approved MOT testing centre. Here at Drive in Service Centre we provide speedy, efficient MOT testing. So, if you've searched for MOT testing Bradford, you've found the best place for all cars and light vans. The MOT is the annual inspection of your vehicle to ensure it meets minimum road safety standards. 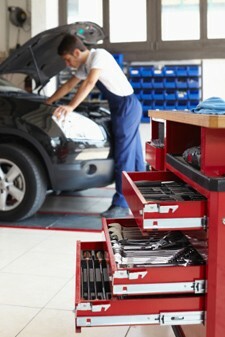 It’s there to ensure your car is roadworthy and in safe working order. It’s fast and fair, taking around 45 minutes to complete. All of our testers have an excellent and skilled engineering background so you can be absolutely sure that there’s no unjust MOT testing. If your vehicle should fail the MOT test we’ll be more than happy to explain and show you why. Best of all, if your vehicle does fail its test, our team is able to repair your vehicle back to MOT standard without your car actually leaving the premises here in Shipley, Bradford. For your own peace of mind, we’ll provide you with a reminder when your next MOT test is due.